As I walked into my local mall’s Barnes & Noble Bookseller, an announcement came over the loudspeaker announcing an author would be signing copies of her book, beginning in fifteen minutes. I smiled. That author was me. In the cafe, a table of my books was set up with pens and stickers that said ‘autographed copy.’ After one more announcement, people filled the rows of chairs so that the event coordinator had to get more chairs. I read from the anthology, talked a bit about writing my particular story and the collaboration of the authors, then signed autographs. 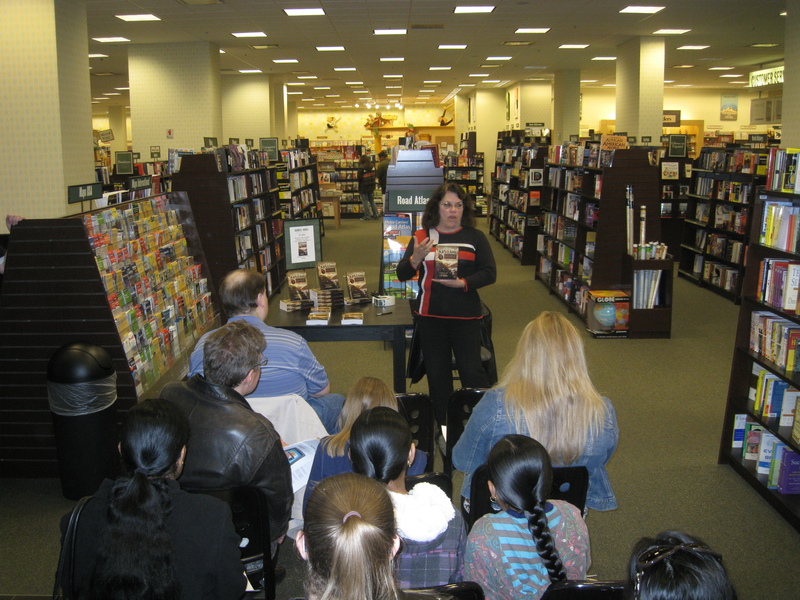 Although this was my first foray into the author world, I truly felt like a famous author! Coworkers, friends, former students, current students and their parents made a special trip into the store to congratulate me, buy books, and encourage me to finish my other projects. I’m very proud of my story and the anthology that contains it, but I’m also proud of my community for supporting me. In return, it was wonderful to encourage the students (and one adult) who have an interest in writing. After all, I am the famous author, right? I know I have a very long way to go. Agents and editors tell me there is no market for an upper grade picture book like Xavier’s Desk Monster. The trend for Young Adult fiction is urban and dark, not historical fantasy like On a Wing and a Dare. I believe in both stories, but it is sometimes hard to push back against big time publishers looking for the next mega bestseller. 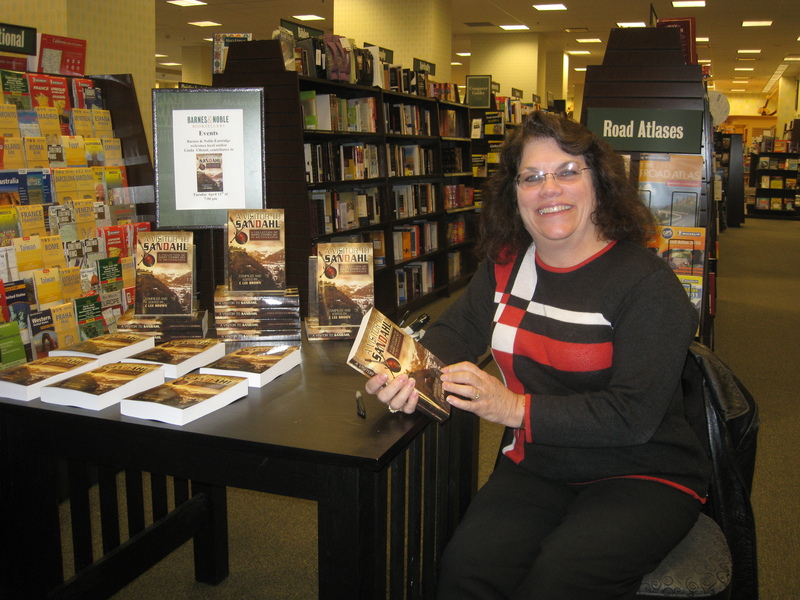 Events like my signing at Barnes & Noble encourage me to hold on to my vision, to continue to work hard revising my work until it is the best it can be, and to keep hope alive that someday it will all be published! …and if you bought a copy of any of my books, please leave a nice review on Amazon.com! Thanks! I hope your sales are going well. I know what you mean about having a long way to go. I too write YA, but my stories have no paranormal elements and so I fear that nothing will come of the two novels I already have written. However, I believe in my stories and trust that I will find the right route to publication. Word of mouth is still the best marketing tool, so with the support of your network you can do more than you expect, when the time is right. Congrats! I hope that your other books also get successfully published and sold! I purchased one of your books. It is a wonderful book. I hope you continue to write more books like this.